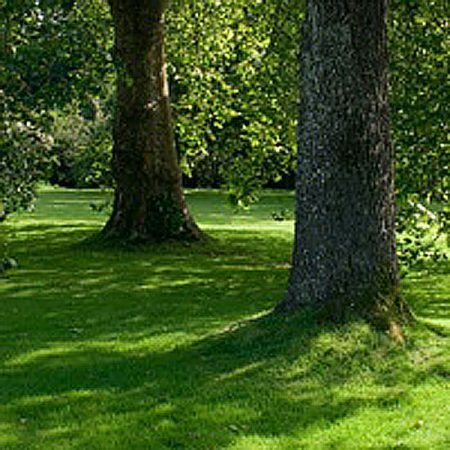 New and existing lawns can be helped in periods of drought by watering. 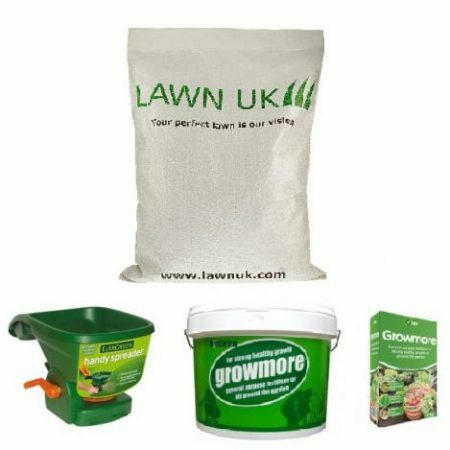 If really dry weather follows the sowing of the grass seed, water the area with a fine spray, keeping the seedbed constantly moist until the grass is about two inches high. 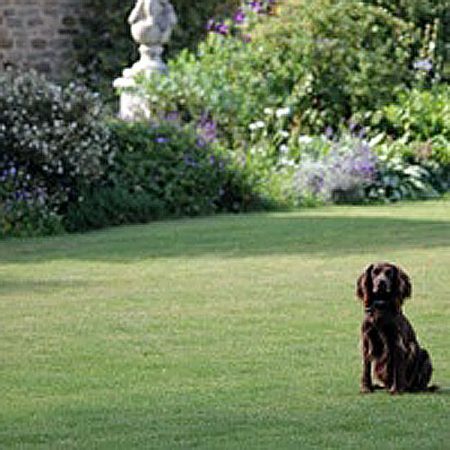 Once the lawn is established a plentiful amount of water should be applied, either with a sprinkler or a perforated hosepipe, enough to reach the roots. A little water does more harm than good as although it encourages growth it also produces a shallow root system and a thin sward is the result. This is a relatively important point and if you were a perfectionist you would rake your lawn three or more times a year. However, it is hard work and normally one good raking a year, in the spring, is all that is needed. Use the special type of spring rake with thin tines for this purpose, not an ordinary garden rake. 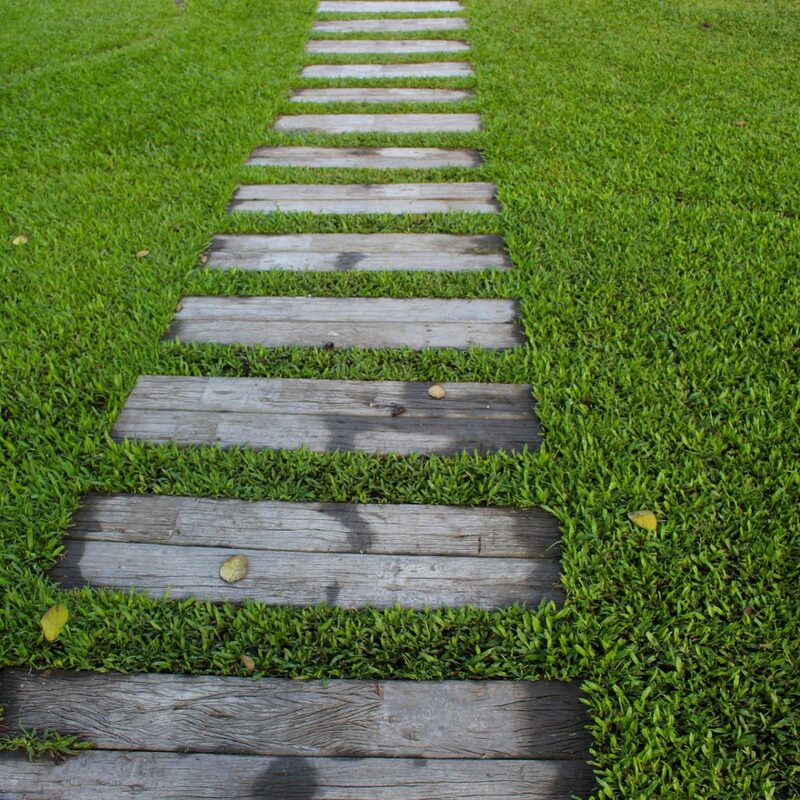 • raising creeping grasses so that you will get a better-looking lawn after mowing. • and it also encourages the formation of new shoots. 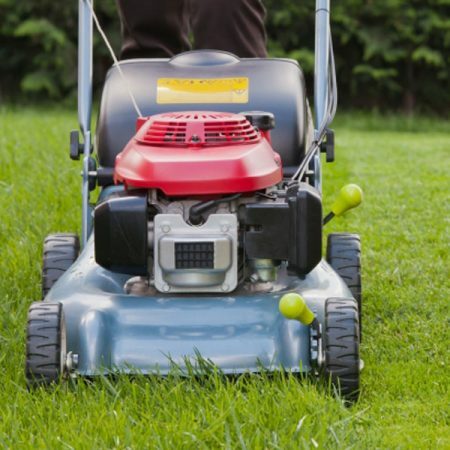 Again, perfectionists recommend that this should be done once a year but it, too, is hard work and need only be done when renovating a neglected lawn or if the soil is badly drained or compacted. 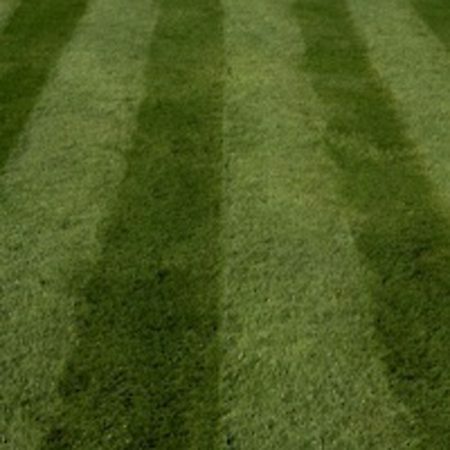 It is also desirable to spike the lawn prior to top dressing in the autumn. Spiking can be done with an ordinary garden fork or with a special hollow-tined machine, with our aerating shoes or with a solid spoke machine. October is the best month for doing it. Rolling with a heavy roller can push stones below the mower blades but generally does more harm than good and, if your mower has a roller on it, the consolidation your lawn receives each time it is cut should be perfectly adequate. Only if your mower has no roller or is of the hover type should a roller be considered. If you do decide to use a roller, it should not weigh more than 102kg (2 cwt) and should only be used in the spring when the surface is dry and the soil below is damp. 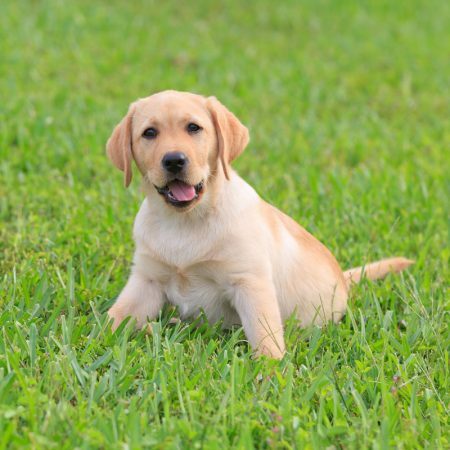 Ensure worm casts, leaves, etc. are removed before rolling and do not use the roller as a means of flattening out bumps.